CARFAX One-Owner. Clean CARFAX. 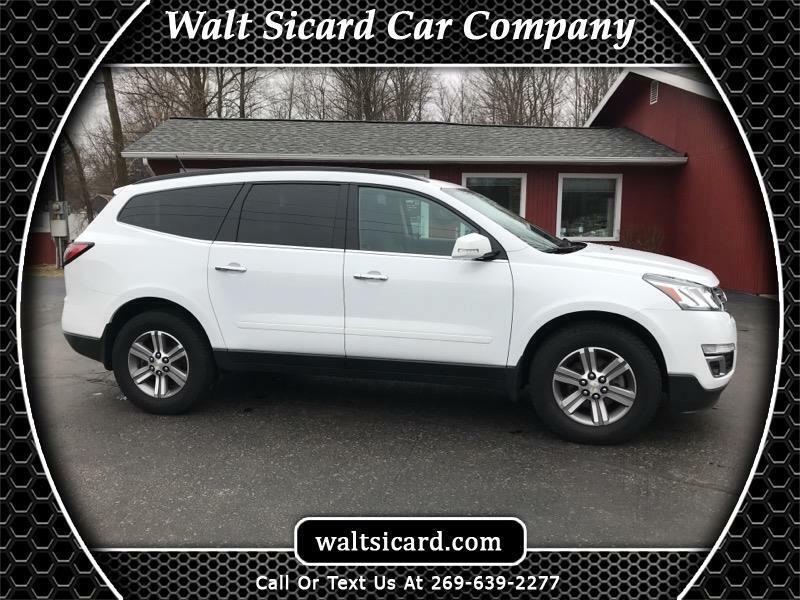 Summit White 2017 Chevrolet Traverse LT 1LT AWD 6-Speed Automatic 3.6L V6 SIDI 2017 Chevrolet Traverse LT in Summit White, Sought After Options Include, **STILL UNDER FACTORY WARRANTY**, ** NON SMOKER **, AWD, 8-Way Power Driver Seat w/Power Lumbar, Bluetooth® For Phone, Body-Color Bodyside Moldings, Body-Color Heated Power-Adjustable Outside Mirrors, Enhanced Driver Information Center, Front Fog Lamps, Frontal & Side-Impact Airbags, Heated Driver & Front Passenger Seats, Heavy-Duty Cooling System, Interior Wood Grain Center Stack & Interior Trim, Leather-Wrapped Steering Wheel, Preferred Equipment Group 1LT, Rear Park Assist, Remote Vehicle Start, Standard Speaker System, Trailer Hitch, Trailering Equipment.